The archives of English architecture collective Archigram are headed to Hong Kong. 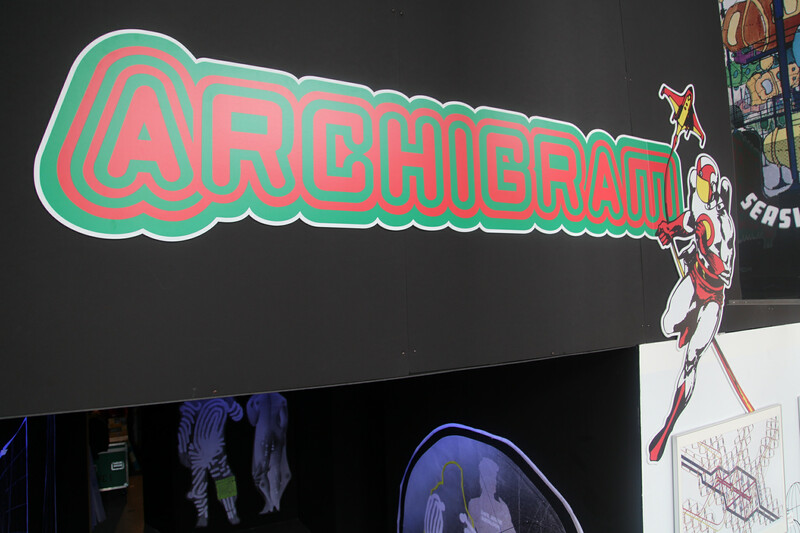 After Archigram sold its archives to the not-quite-open-yet visual culture museum M+ for $2.37 million in March of last year, the archive was packed into shipping containers—where they sat for nearly a year while the museum waited for permission to export the collection. That’s all changed, as U.K. Culture secretary Jeremy Wright has approved an export permit. At the time of the sale, the Reviewing Committee on the Export of Works of Art and Objects of Cultural Interest, under UK's Arts Council, blocked the export of the archive. After hearing testimony from museum officials, the committee placed a temporary block on the archive’s export in the hopes that a U.K.-based buyer could be found instead. In the last review of the archives, the Reviewing Committee ruled that Archigram’s archives, while a precedent-setting work for contemporary architects, met the body’s three “Waverly criteria” standards. Those criteria are used to determine whether an object has enough national importance for the body to block its export. 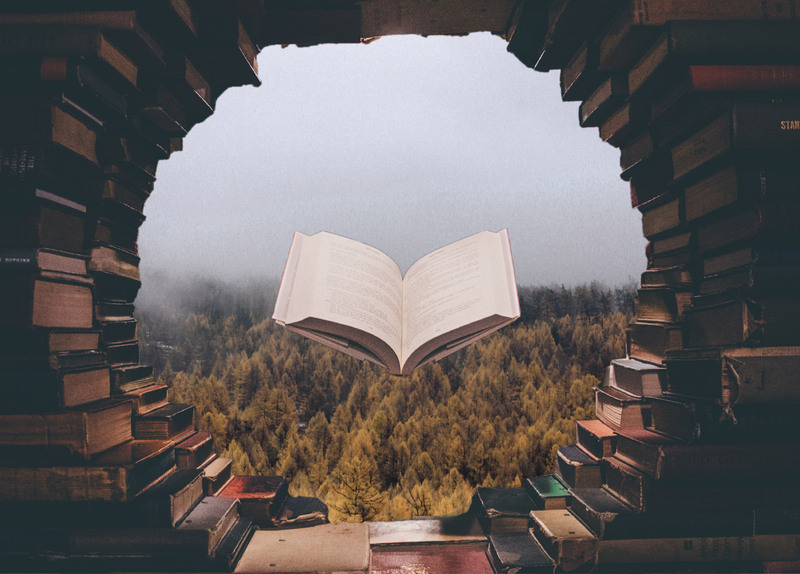 The archive spans over 10,000 images, half of which have being digitized and made available to the public for free by the University of Westminster in 2010. Ultimately, Secretary Wright made the decision to release the archives to M+, noting the difficulty in finding a buyer who would keep the collection together. M+’s purchase came at the direction of the museum’s curator-at-large Aric Chen. 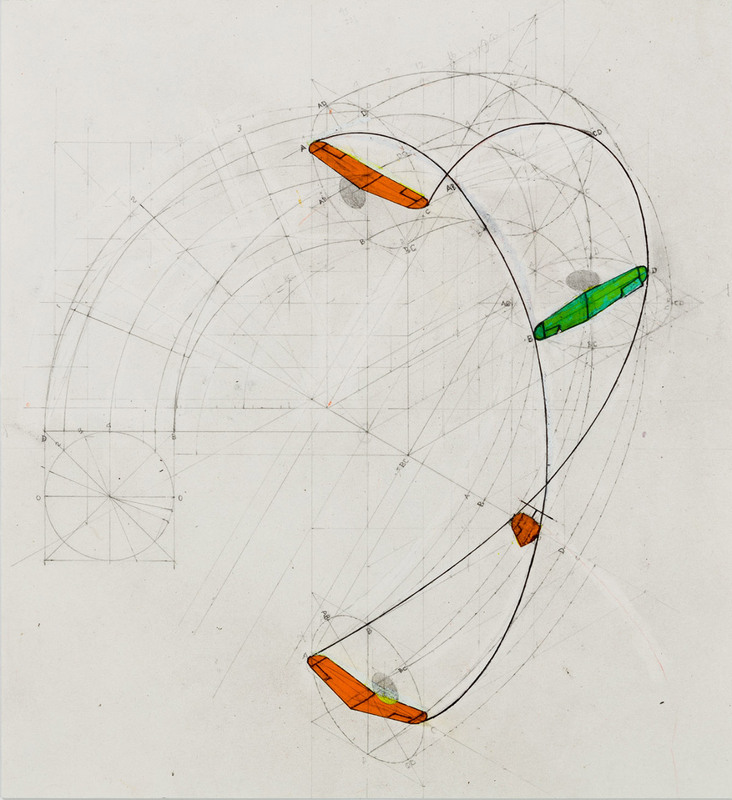 It’s expected that the collection of renderings, technical drawings, collages, drawings, models, ephemera will be accessible to the public, rather than shunted into a research archive. “We'd been working on this acquisition for a long time,” said Chen, “only to have this export issue throw us for a loop. On the bright side, I was happy for Archigram to see their importance reaffirmed in the U.K.—but I'm of course even happier the archive is coming to M+, where it will be equally appreciated, and where we'll work to shed new light on Archigram, from their interactions with the Metabolists of 1960s Japan to their resonance with Hong Kong's urban landscape and the work of many leading Chinese architects working today.” AN has reached out to Archigram members Michael Webb and Peter Cook for comment and will update this story as needed. Although the M+ purchase is a heady one, the museum’s physical headquarters in the West Kowloon Cultural District is still under construction. The 700,000-square-foot, Herzog & de Meuron–designed arts center is expected to open next year. Michael Webb is a virtuoso English architect, inventor, and artist who was a member of Archigram in London before emigrating to the United States in the late 1960s. Continuing his link with the group and his inventive investigations, he survives by teaching in architecture schools. Yet baldly stated, these facts hardly prepare one for the extraordinary document that is Two Journeys, his latest book. Up for grabs at this year's AN Best of Design Awards is a signed 1971 collage from Archigram. 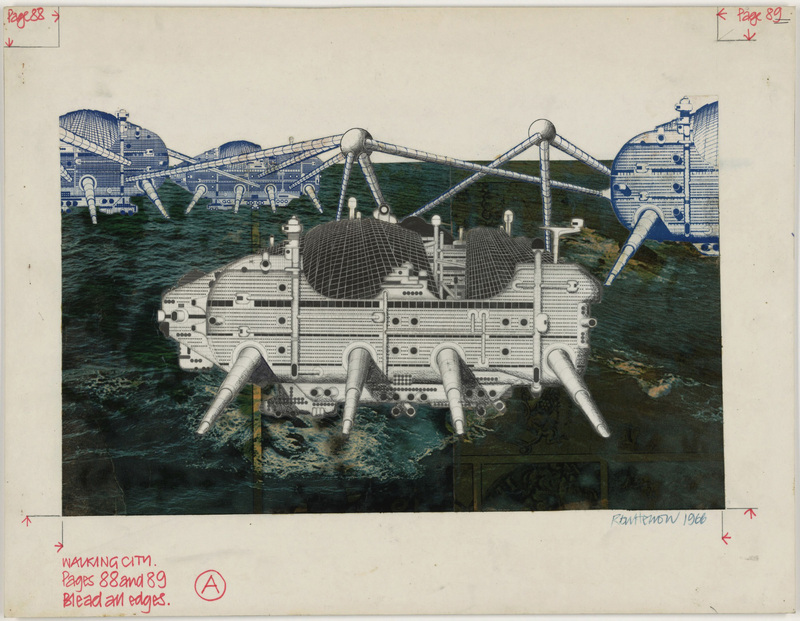 Made by Diana Jowsey in Endell Street, Covent Garden—Archigram's London Studio—the collage includes iconic projects from the conceptual architectural group, such as Walking City, Instant City, and Rock Plug, and features drawings from Peter Cook, Warren Chalk, David Greene, Ron Herron, and Michael Webb. For your chance to win this coveted print, enter the AN Best of Design Awards 2017 where there are 42 categories for submissions. In this the fifth edition of the Awards, winners will receive the signed Archigram print and will also be exposed to 1,000,000 AN readers and members of the A/E/C design community. Other worthy projects will be shared on AN's social media channels and will also be published in a special 2017 Design Annual publication created specifically for AN Best of Design. The awarding jury will judge submissions using several criteria: strength of the presentation, evidence of innovation, creative use of new technology, sustainability, and, most importantly, good design. The jury will be comprised of Morris Adjmi (principal, Morris Adjmi Architects), Matt Shaw (senior editor, The Architect’s Newspaper), Irene Sunwoo (director of exhibitions, GSAPP), Eric Bunge (principal, nARCHITECTS), Nathaniel Stanton ([rincipal, Craft Engineering Studio), Emily Bauer (landscape architect, Bjarke Ingels Group). The 42 categories are: Building of the Year – Northeast, – Mid-Atlantic, – Southeast, – Midwest, – Southwest, – West; Adaptive Restoration; Adaptive Reuse; Architectural Lighting – Indoor; Architectural Lighting – Outdoor; Architectural Representations – Analog; Architectural Representations – Digital; Building Renovation; Civic – Administrative; Civic – Cultural; Civic – Educational; Commercial – Hospitality; Commercial – Office & Retail; Digital Fabrication; Facade; Green Building – Civic and Commercial; Green Building – Residential; Infrastructure; Interior – Residential; Interior – Retail/Hospitality; Interior – Workplace; Landscape – Private; Landscape – Public; Residential – Multi; Residential– Single; Research; New Materials; Commercial/Office; Small Spaces; Student Projects; Temporary Installation; Urban Design; Unbuilt – Commercial; Unbuilt – Residential; Unbuilt – Public, Landscape; Unbuilt – Public, Infrastructure; Young Architects. Eligibility Projects must have been completed within one year’s time of the submission deadline. Landscape projects must have been completed within two year’s time of the submission deadline. The Best Of Design Awards is open to U.S. and international firms (e.g., architects/consultants/engineers/manufacturers), but projects submitted must be located within the United States. Please submit by September 29, 2017, to be in with a chance of winning. More information and how to register can be found at archpaperawards.com/design. Through February 20th, the University of Michigan Taubman College of Architecture and Urban Planning is exhibiting the work of 1960s avant-garde architecture group Archigram. 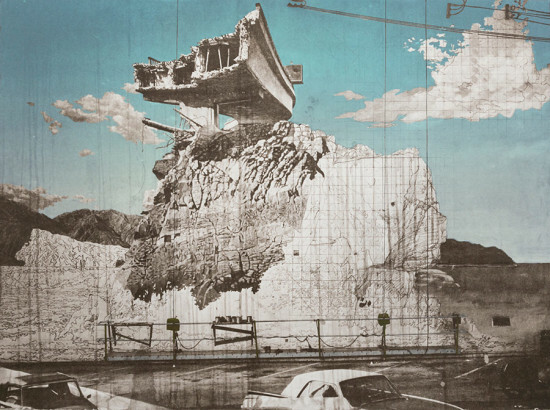 The show, organized by Archigram member Dennis Crompton, presents exhibition pieces, collages, drawings, and films from the group of six young architects. "In architecture, nothing ages so quickly as visions of the future. But somehow after more than a half-century, Archigram is still ahead of us—still amazing us with its explosive mixture of the carnival and the computer,” said Taubman College’s Interim Dean Robert Fishman. “One of the rare true collaborations in architecture, Archigram’s six founders deployed graphics borrowed from advertising and sci-fi comics to upset the solemnity of 1960s corporate modernism. They conceived the city as a basic power and transportation grid into which people 'plugged-in' a constantly-changing array of mass-produced modules. 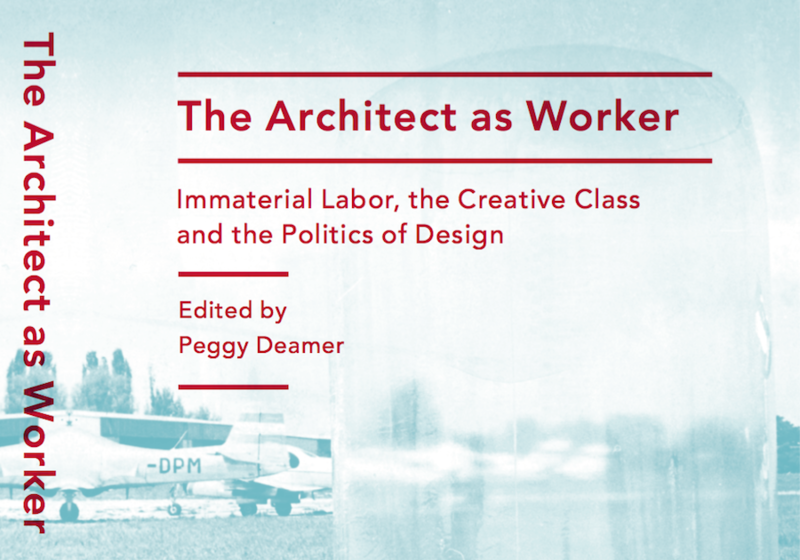 In this urbanism of constant flux, everyone is an architect." The exhibition fills the two-story space of the university’s Liberty Research Annex. Over-sized drawings backdrop framed original pieces, while large banners hang from the ceiling. Multiple projections play videos made by the group, and mannequins wear bright graphic clothes printed with the group's imagery. The gallery is located at 305 W. Liberty St., Ann Arbor, Michigan and is open to the public Thursday-Sunday, 3:00pm to 7:00pm. The show will be open through February 20th, 2017. The British Archigram group has produced some of the most influential and memorable architecture and urban images of the last fifty years: Plug-In City, Computer City, Instant City, and Temple Island. These and eight more iconic images from the group are now available as signed limited edition (50) prints to purchase. The edition is produced on certified Giclee archival Hahnemuhle German etching paper. 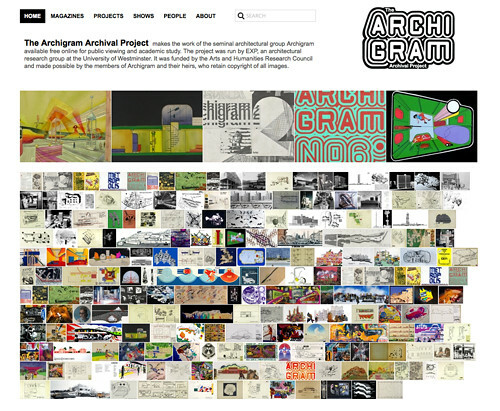 You can find pricing and other information on this Archigram Archives Portfolio Collection page of the Archigram website. This is a chance to own these important images for an extremely reasonable price with discounts if you purchase six or more prints. 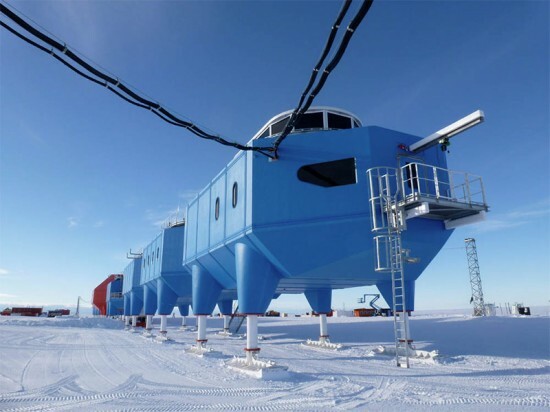 The Halley VI Antarctic Research Station designed by British practice Hugh Broughton Architects will be officially opened today. 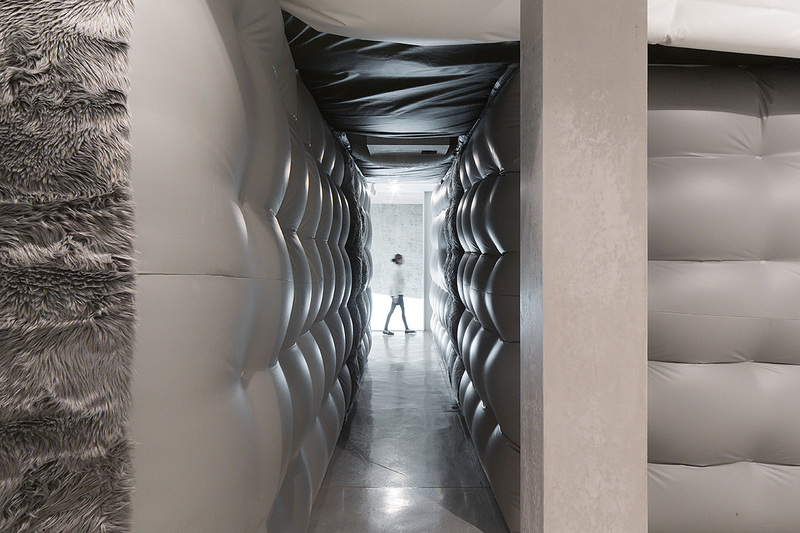 The product of eight years of research and design for extreme climates, the architects claim it is a "laboratory and living accommodation capable of withstanding extreme winter weather, of being raised sufficiently to stay above meters of annual snowfall, and of being relocated inland periodically to avoid being stranded on an iceberg as the floating ice shelf moves towards the sea." 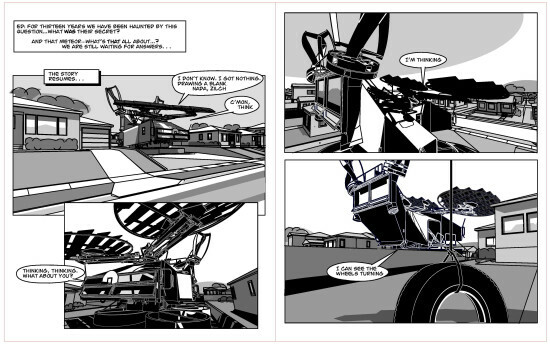 But the project bears an uncanny resemblance to Ron Herron's 1964 Walking City project and the project's description is pure Archigram in spirit: "an innovative concept (of) hydraulically elevated ski based modules, ensuring the station can be relocated inland periodically as the ice shelf flows towards the sea. The station combines seven interlinking blue modules used for bedrooms, laboratories, offices and energy plants, with a central two-story red module featuring a double-height light filled social space. Interiors have been specially designed to support crew numbers ranging from 52 in summer to 16 during the three months of total darkness in winter when temperatures at the base drop as low as -56C."